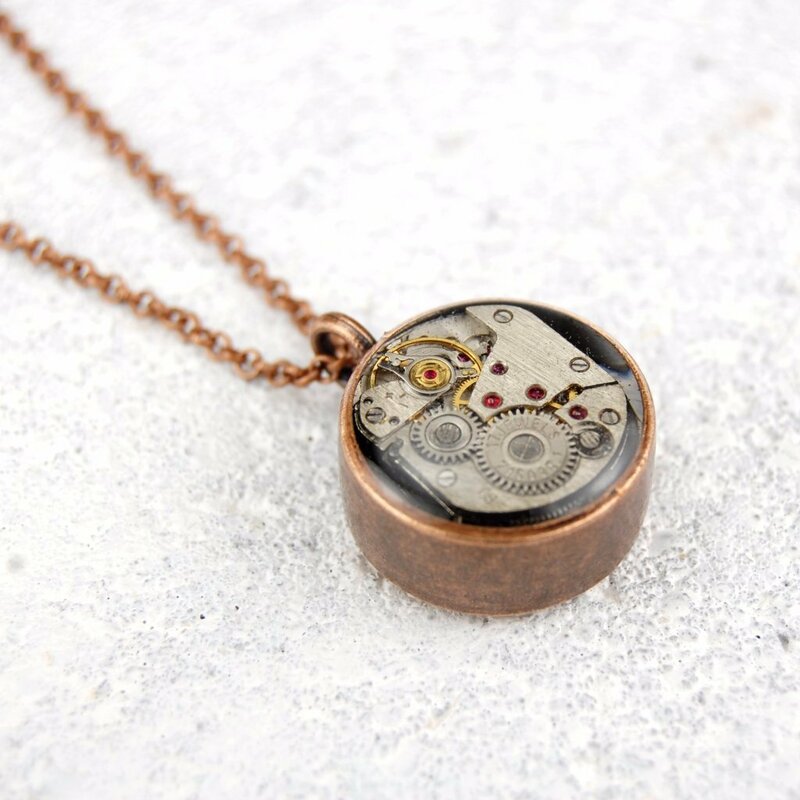 Watch mechanism preserved in an antique copper pendant. 18mm diameter pendant. Choose from 2 chain options and 3 lengths.